Here's a new easy way to raise money and awareness for Pandemonium Aviaries. 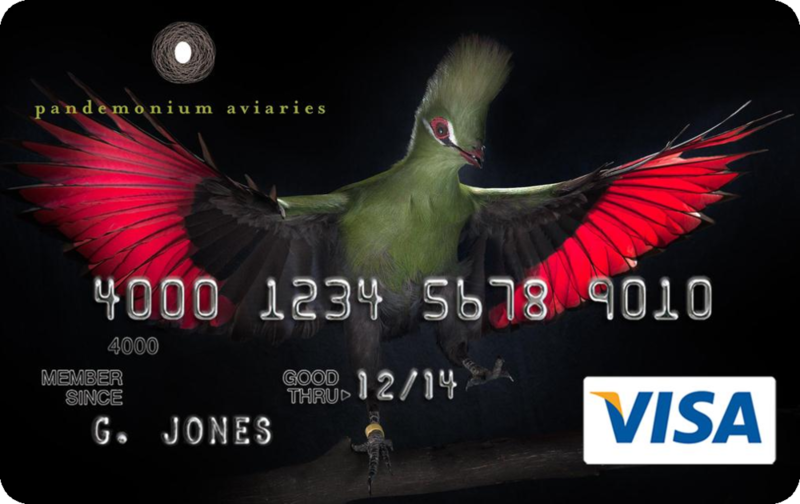 Just start using the new Pandemonium Aviaries Visa® Platinum Rewards card for your everyday purchases. The first time you use it, the bank will donate $50 to Pandemonium Aviaries,and we'll continue to receive a percentage of all future purchases.